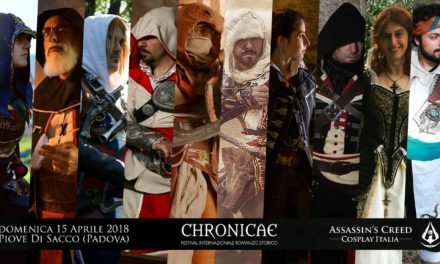 Stasera abbiamo per voi due fantastiche news: saremo presenti dal 3 al 5 Marzo a Cartoomics (Rho Fiera -MI-) e la settimana successiva, l’11 e 12 Marzo, a Games District – Verona (VeronaFiere)! 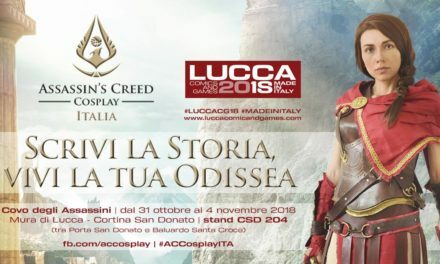 Tonight we’ll share two amazing news: we’ll take part in Cartomics Convention (03-05 March) in Milan and in Games District Convention (11-12 March) in Verona. 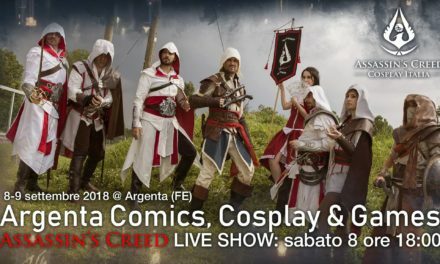 Our cosplayers, our merchandise, the Animus 2.0 and… a VERY BIG SURPRISE, they’ll wait for you!